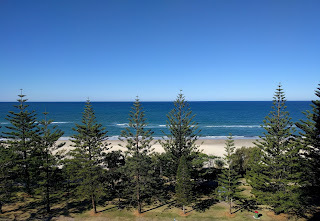 I ran away to the beach at Burleigh Heads for a few days last week for my birthday. 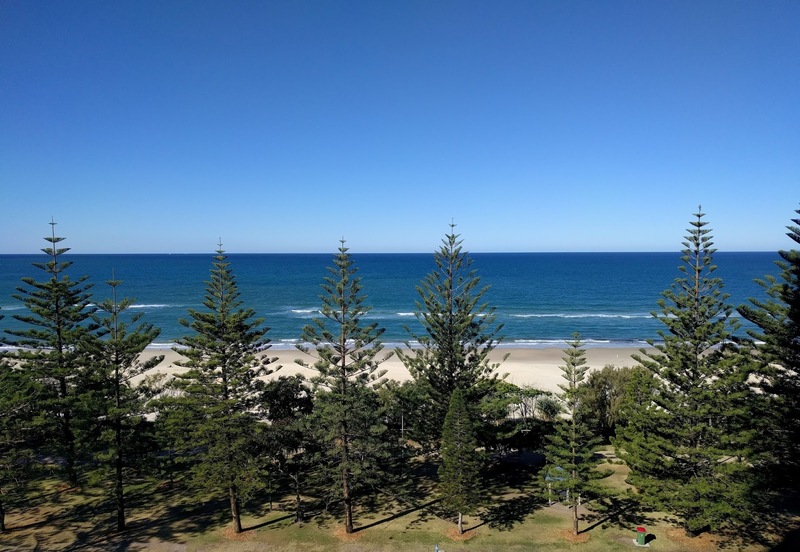 A nice apartment with beach views, two days teaching rulers on a domestic machine classes, and a relaxing time. The beach was wonderful, a little cool to swim just yet, but I did have a paddle. The reason I went south was to teach the classes, but decided to take a midweek holiday and have a day off for my birthday in the middle. The classes were such fun! 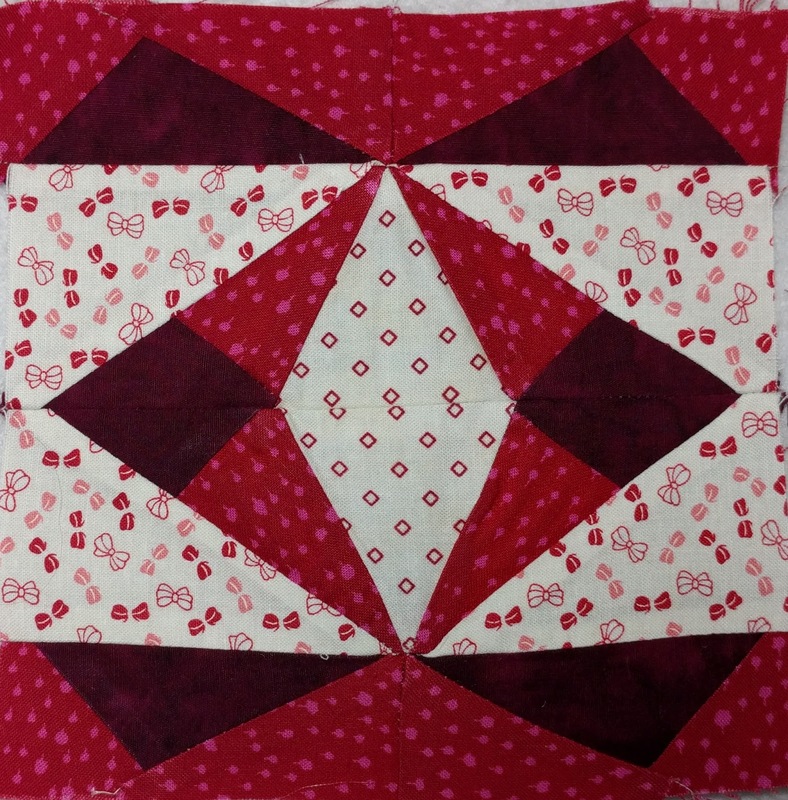 a steep learning curve for some, most of the quilters ended up with a fantastic portfolio of ideas and designs for further reference and many ideas to go home and expand on. Ruler work is a different mindset, and can allow the quilter to achieve consistent straight or curved lines with minimal marking. 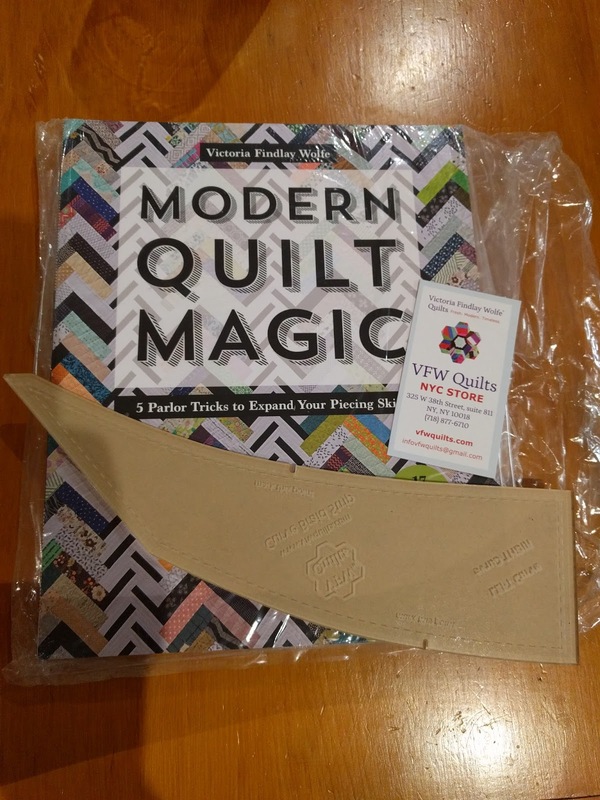 I have had a lot of fun with the rulers and am really looking forward to my next Bernina work at the Brisbane Craft Fair. Only one Farmers Wife block this week. 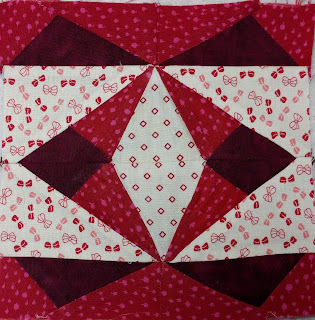 It was a bit fiddly and I was tired, so the points are not perfect. The view from my apartment. Perfect. My group are working towards an exhibition of works inspired by Margaret Olley, this is the start of one of my larger pieces. Another piece for the Margaret Olley inspired pieces. 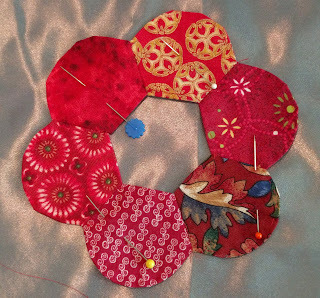 In an attempt to use up fabric that I have, I am appliqueing these flowers onto some satin for an installation. Lastly, I gave myself a little treat, well my daughter is giving me the book, and I decided to get a template as well- just because! Super fast postage, I am happy. 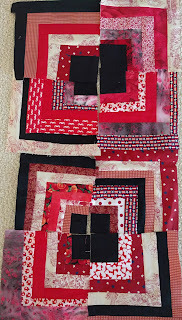 Farmers Wife block 79- almost there!